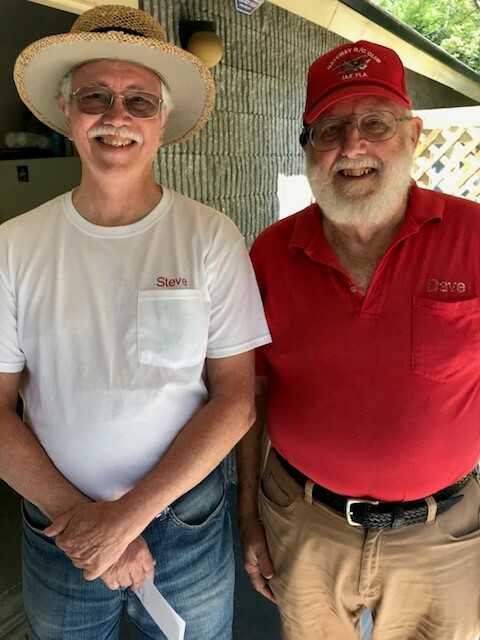 I have to say, even with the lighter than expected turnout, we had Jason Shulman (right), one of the top pilots in the USA, come spend the weekend with us. He put a wupping up on us Experts with a $100 Kaos he got off the ceiling at Graves hobby shop in Orlando some 8-9 years ago powered by a OS 55 on the nose :). 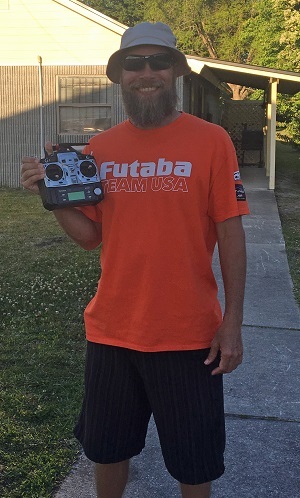 This guy is a heck of an ambassador for our sport/hobby and is heading to Italy later this year as one of the 3-person USA Team representatives for the World F3A Pattern competition. I don’t know where to start, but here we go. Having had to carry my SPA contest stuff on the road/mobile, I was sweating missing something we’d need during the contest, but as it worked out, I had it All:). 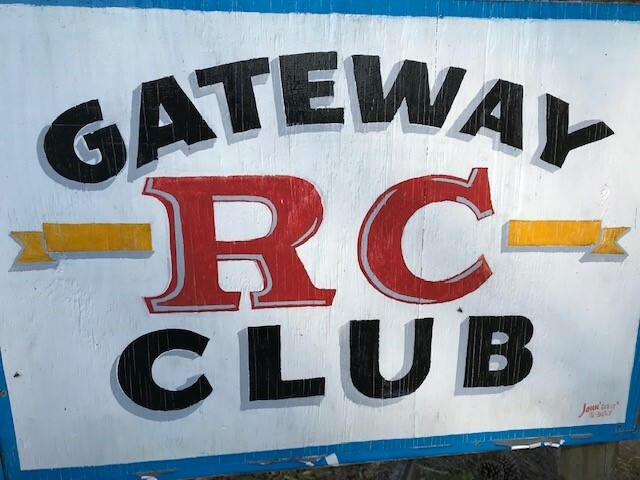 The morning started each day with the smell of hot biscuits and gravy, coffee and donuts both Sat & Sun, with burgers and all the fixing very well coordinated in time for a 15-20 break for lunch, and it was all done all by the host Gateway RC Club . This is a real treat that few CDs get to experience having not to worry with feeding the masses, cause no matter what I've done in the past, I've either over bought or under bought. Not one single mishap occurred the entire weekend, not even a broken prop to my recollection, so that alone itself was a success. 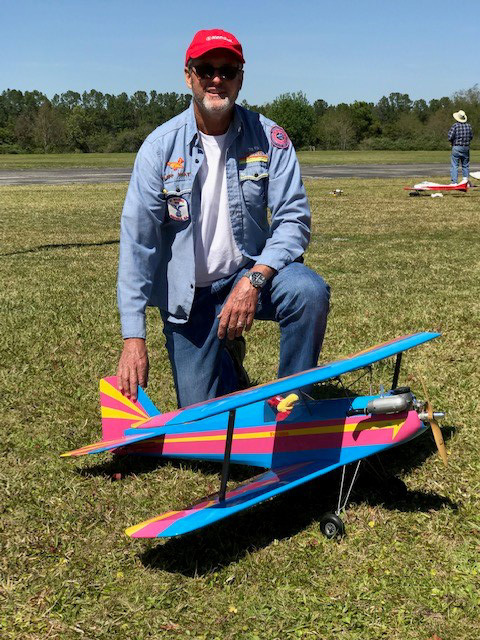 We picked up a first time local Club member Rufus Holton flying Novice and flew his Kaos like a pro, and it was obvious Rufus had been practicing!!!! Then we had some really tight contested Sportsman pilots with Ken VandenBosch, Anthony Sweeney, my AMA pattern bud Pete Ferguson flying my Komet for the very first time Saturday AM and Duane Wilson. This class was also nip and tuck for the weekend with Anthony edging out Ken for the number one slot. Now to the 6 young Experts, he he he. Cliff Hiatt brought his beautiful Andrews Aeromaster, sporting a brand new OS blackhead 60 from 1972. The engine size looked like the 40’s of today, but was true vintage to say the least, and Cliff flew it expertly. Then we had Joe Walker, last years NSRCA President and another AMA flyer friend of mine, flying the Komet as well. Honestly he flew it better than I could:). Greg Hoke was sporting his brand new Banshee!!! It flew as fast as it looked, clocking in at what I'd say was 110 mph with a old school 61 engine (no pipe) which appeared to be a great mate for the plane. Then you could go on and on about Jason. He was flying the same $100 Kaos plane that he flew at the Hotlanta Masters 7-10 years ago, and gave us all more than we could handle, but there's always a next time, he he he. Then I pull up the rear flying my eCurare, and with the exception Anthony's eDirty Birdy he flew Sunday, we were the only two contestants flying electric motors and not glow. Now to the young buck Senior Experts. Dave Patrick, (one of Carl Goldberg's designers from way back, he he he) was sporting his Kaos with his Blackhead Rossi from back in the 70’s, even to this day I feel it is a far superior engine to the engines being built today. It ran flawlessly the entire weekend. SPA’s President Jeff Owens flew his trusty Deception and seemed like a back and forth scoring battle thru out the entire weekend, and what a show it was!!! Dave Phillips was flying his old and well worn down lead sled Dirty Birdy while his other two secret weapons are at home nearing completion on his workbench. I’ll betcha we’ll be seeing one of these birds real soon!!!! Dave kept Jeff and Dave P honest and was not far in back of the pack lurking. 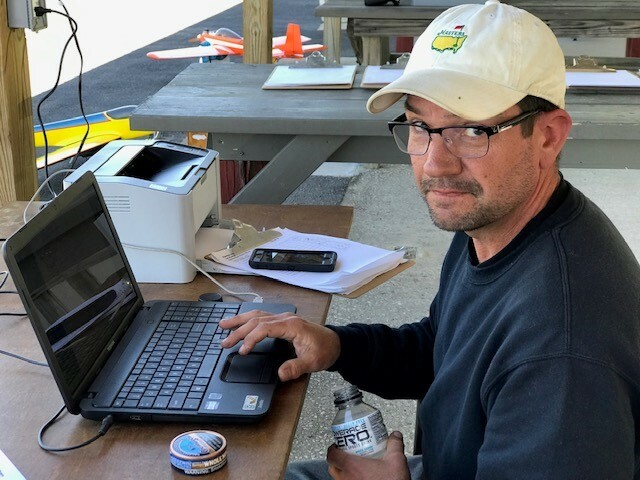 Think I'm just taking my already contest packed RV to the FCF flying field since all my contest supplies are there and ready to go and do it one more time in just two weeks. You guys need to be getting your bags and planes packed for Prattville's SPA just the weekend after next and camping space enough for 12-15 RVs. I’ll be out the field most all that week flying , so if any of ya would like to come early and get some coaching or just some nice peaceful practice time in, Come On. We have a real flushing bathroom that are air conditioned and lots of El stations under our sheds for charging batteries, but no RV power or hookups cause we are on a low 15 amp service. Get signed up, it's a non-binding signup, and if i have to say it looks pretty sad at the moment. Guys, we’ve got to look in the medicine cabinet and get out the Geritol and get back to contesting. If this number of contestants continues thru 2019, we’ll have to have fewer events in 2020. Well, in a nutshell that was the short version of this past weekends contest, and it was a gooden!!!!! 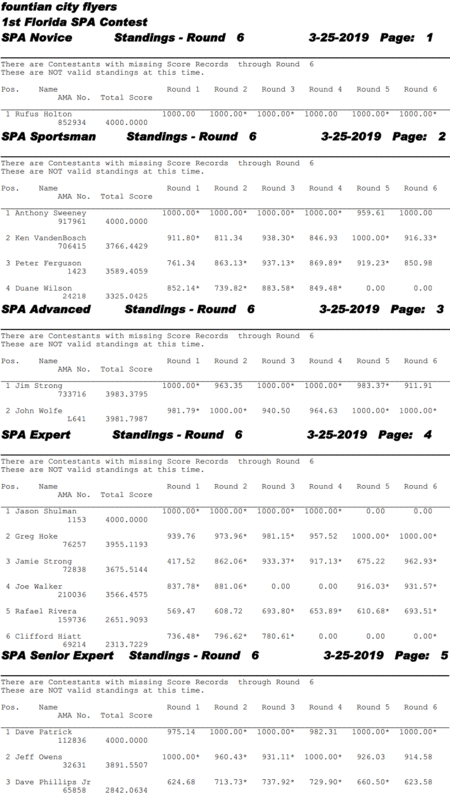 Duane Wilson's "In the Middle of It All Report...."
Sixteen (I believe), pilots, and many newcomers to SPA (or long absent participants), assembled for the inaugural Jacksonville, Florida SPA East season opener. There’s a good mix of all classes from Novice to Expert. 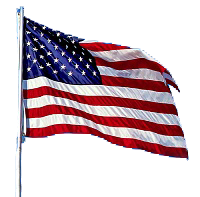 We have sought a winter/early spring contest in Florida for several years now. Due to our “Special Projects” BOD member, we have this new opportunity. Jamie has worked hard in this 2019, “year of experimentation” to finally make it happen. 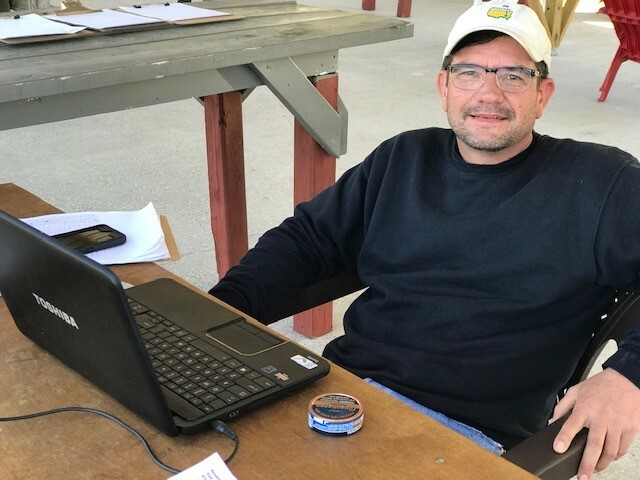 He established new contacts to expand SPA into Florida for this early season opener in the Sunshine State. His efforts have paid off handsomely by him securing not only a flying venue, but this incredible better than average North Jacksonville location. The Jacksonville Gateway club welcomed (with President Steve Arrington and treasurer Dave Keller manning the concessions), us with open arms. They were very outgoing, friendly, and were ready to discuss their club and it’s history at a moments notice. This place is a great place to fly. 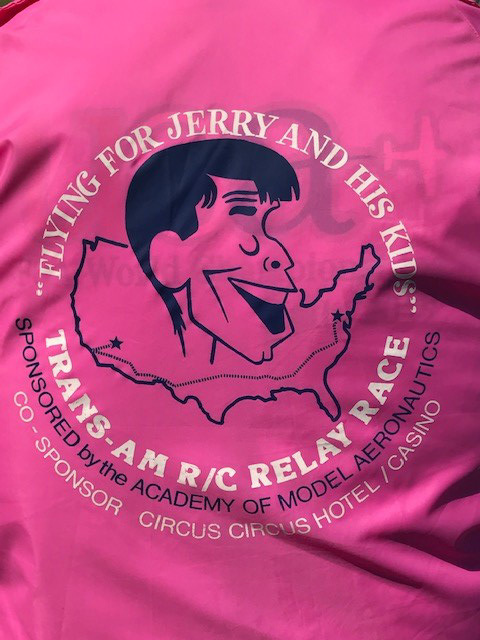 The site has an asphalt runway, (facing North so no sun problems-a real blessing), indoor “facilities”, and concessions with whatever your little heart desires food-wise whenever you want it during the day. The site is also wide open with good access. Looking over reports of the past couple year’s opening contests (in April), the predominant feature of all of them was the lousy, windy early spring weather where the intrepid participants gritted their collective teeth and braved far less than perfect conditions. While windy weather can, (and during practice did), affect flying here, everyone agrees we have a much better chance of getting good, warm weather for the opener a lot earlier down here in sunny Florida. Keep in mind that contest was held a full month earlier than normal, and I for one can tell you that it’s been great to fly in warm weather again (and in March). Admittedly, it was a longer than normal drive for many, but “nothing ventured-nothing gained”. Still I’d say people here felt it was well worth it to get things started in a great way. Temps were pretty cool in the morning Saturday (especially in the shade), but it warmed up to very comfortable temperatures by early afternoon. Some medium crosswinds from the north were experienced in the morning, but they switched to a very pleasant light easterly breeze by early afternoon. Jamie did a masterful job of organizing. Even though plenty of time was given for practice flying up to 10AM, once we started, things moved along at a good pace so we were all done with four rounds before 4PM. David Patrick, Jason Shulman, and Cliff Hiatt, (helicopter Expert), were just a few of the folks Jamie invited in attendance. With new people come new, interesting aircraft to watch fly. You can see a few of them in the first pictures from the contest. 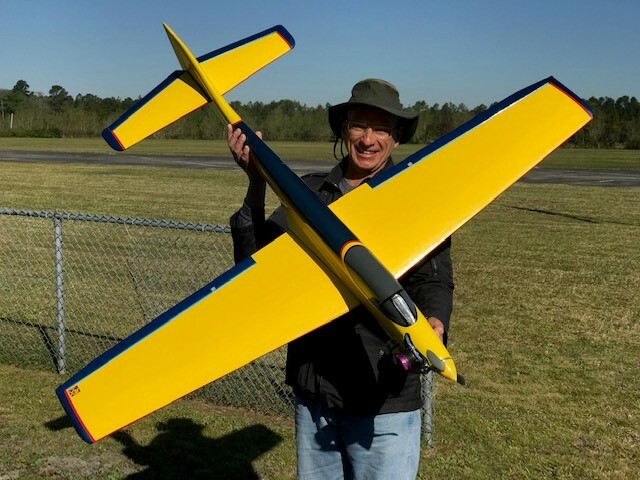 Rafael Rivera had a very pretty Super Curare, Hiatt flew an original Andrews Aeromaster biplane, and both Patrick and Shulman demonstrate “big-time” what a simple Kaos is capable of. Everyone wanted to see Greg Hoke’s new Banshee fly and they weren’t disappointed. He’s been flying the wings (so to speak), off that plane and on all kinds of weather. “She’s about a mover” as the song says. I’d like to make mention of a few contest statistics and honorable mentions. First, no planes have been lost—not so far. Jamie has announced that should a pilot get into serious trouble, the caller, judges, or anyone else close by can attempt to help rescue the plane from “accidental you know what”, which is comforting to shaky pilots. It may not work, but why not try? After all, lost planes need to be repaired at the least or replaced with a lot of time and expense. Jamie’s original concept of purposely pairing a Novice pilot with an Expert really makes them feel welcome and included. Good idea. As we have sometimes tried in the past, we are using score sheets with all six rounds on them with good success. When turned in they are held until the next round in order to keep track of them, then the pilots retrieve them and take them to the next set of judges. Saves on paper as well. Jim Strong is managing the scoring in great fashion, and has developed his own entry system. He has even turned down offers of help in entering the scores because it might slow him down!!😳. He looks calm but he probably isn’t. Neither Keith Watson or myself had flown yet this season but “what the hey”—might as well come anyway and be “with the boys”. I went into this contest viewing it as a high-pressure, supervised and judged “practice session”. Predictably I am DEAD LAST, and plan to remain there, but I’m starting flying much earlier than I normally do, and only feel about half as rusty as I was before this weekend. Keith on the other hand chose to come all this way without a plane and offer himself and his judging services to Jamie —and Jamie is holding him to it. Keith is getting “judging practice”, and quite a tan/sunburn, (when we began we didn’t think we’d need canopies for the judges—now we probably do). Thanks Keith and Jim for chipping in so unselfishly to help. 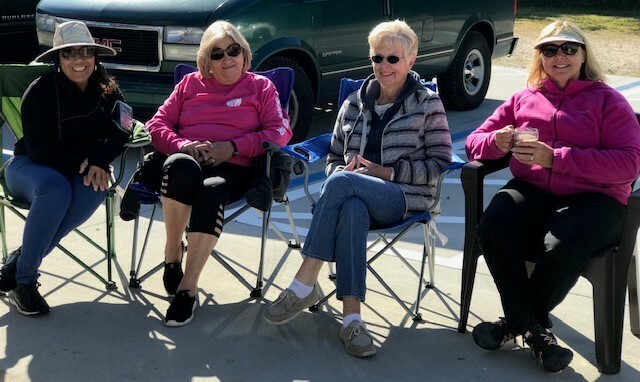 The ladies support their pilots and catch up on what’s new. Florida’s own Rafael Rivera tries SPA with his Super Curare. He likes it—would like to come back but he’s from Southern Florida. Well maybe he can attend at least one contest a year. 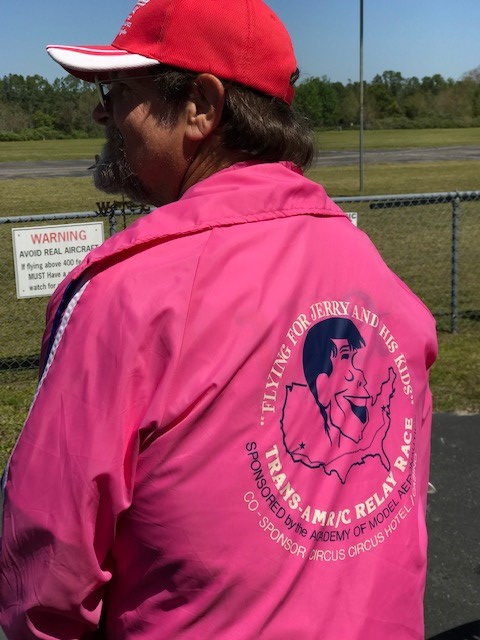 The new slim and trim Jamie Strong wears his jacket from a past Jerry Lewis telethon. Gateway RC Club officers Steve Arrington and Dave Keller took care of the concession area. Jim Strong being distracted once more. A poised, relaxed Jim Strong.